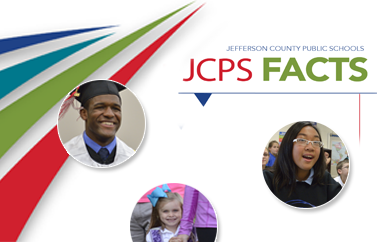 Here are answers to common questions about the JCPS District. JCPS offers a school choice system that lets parents apply to the school that best meets their child's needs. JCPS magnet schools and programs focus on a specific subject (such as environmental studies), offer training for a specific career (such as engineering), or provide a specialized learning environment (such as a Montessori school setting). JCPS offers magnet choices at all grade levels. Get more information on school choice at JCPS. The district offers a wide range of services for students with disabilities. For more information, visit the Exceptional Child Education (ECE) webpage. If your child is new to JCPS and already has an Individual Education Program (IEP) from a previous school, contact ECE Placement at (502) 485-3215. How do I register and apply to schools? You can use any Internet-connected computer to register and apply. Parents can request a different school assignment by submitting an online student transfer application. Transfer approvals are not guaranteed. They’re based on various factors, including space, eligibility requirements, student needs, childcare, siblings, or other extenuating circumstances. Contact Student Services at (502) 485-3340. What do I need to sign my child up for preschool? Contact Early Childhood at (502) 485-3919, or visit our Early Childhood page. JCPS serves children 4 years old and younger through a range of programs designed to make the most of each child's natural desire to learn. For more information about the programs and the income-eligibility guidelines for free services, contact the JCPS Early Childhood Office at (502) 485-3919. For most schools, hours are 9:05 a.m. to 3:45 p.m. for elementary students and 7:40 a.m. to 2:20 p.m. for middle and high school students. Call your child's school to confirm the hours because a few schools adjust them slightly. JCPS bus routes and schedules are available online through the Bus Finder. Just click the name of the school to display the routes. Or you can search by school and street name. Route information is also available at schools and Central Office locations. JCPS offers bus transportation for most students living more than one mile from an assigned school. Specially equipped buses are available for special-needs students. To contact the JCPS Transportation Department, call (502) 485-3470. Yes. The Childcare Enrichment Program (CEP), a partnership between JCPS and the YMCA, provides before- and after-school childcare as well as full-time childcare during Winter Break and Spring Break, on snow days, on Professional-Development (PD) Days, and during the summer. When is Spring Break? When is Winter Break? See the school calendar. It's set each year by the Jefferson County Board of Education (JCBE). Students attend school 177 days from mid-August through May. If schools are closed because of bad weather, the board extends the school year. Are there menus and how much do school meals cost? Yes. JCPS school menus are available online at jcps.nutrislice.com and on your phone via the free Nutrislice app. You also may want general information on menu items. Most JCPS schools offer free meals for all students. At other schools, prices for elementary students are $1.75 for breakfast and $2.80 for lunch. Middle and high students pay $1.85 for breakfast and $2.90 for lunch. Adult lunches are $4.25. À la carte items and online payment plans are available. How do I know if school is canceled, delayed, or dismissed early because of bad weather? Official announcements are posted on the homepage of this website and on JCPS social media. The announcements also are broadcast by local television and radio stations. Get more information here on JCPS inclement weather policies. When will buses run if school is delayed or dismissed early? If schools open on a delayed schedule, bus pick-up times will be delayed accordingly. For example, if schools open on a one-hour delay, bus pick-up times will also be delayed by an hour. If schools are delayed, Early Childhood classes will be held as scheduled but bus transportation will not be provided for Early Childhood students. Parents will be responsible for transporting the students to and from classes. If schools are dismissed early, students who receive bus transportation for full-day Early Childhood classes will be transported home after elementary students are delivered. If bus transportation was provided to an Early Childhood student for a half-day class, transportation home will also be provided when school dismisses early. Are childcare services offered when school is canceled, delayed, or dismissed early? The Childcare Enrichment Program (CEP) snow sites will operate. For more information, call (502) 485-3834 or (502) 637-1575. If schools are dismissed early, CEP students will be transported to their regular CEP site and parents will be encouraged to pick up their child as soon as possible. The sites will remain open until all students have been picked up. Are after-school activities canceled when school is canceled? If schools are dismissed early, after-school activities, classes, and programs—including Extended School Services (ESS), Community School programs, tutoring programs, Jefferson County High classes, and Adult Education classes—will be canceled. Check with your child's school to see if the early dismissal will affect evening competitions. What do I do if I am having trouble with a webpage or can't find specific information? Contact the Help Desk at (502) 485-3552, or submit a ticket online if you are an employee. How can I get my child’s high school transcripts, diploma/health records, etc.? Contact the Transcripts Office at (502) 485-3141, or visit our student records and transcripts page. School administrators have not answered my questions. To whom can I talk? If your principal has not responded to your satisfaction, you may contact the assistant superintendent for your school's area.